We are lead generation and marketing experts, seasoned veterans, with the right skills and business model to deliver outstanding results at cost effective rates for your organization. We understand the importance of list building, cold calling, elevator pitches, telephone pitches, eMarketing, web seminars, marketing, branding and web site design to fuel continued growth. Our senior staff has been instrumental in building programs for organizations seeking a rapid boost for their sales and marketing efforts. 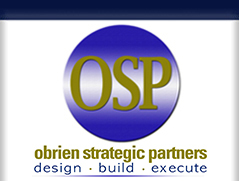 We offer a variety of cost effective engagement strategies to fit our organization clients' individual needs. We tailor our services to meet the needs of your specific organization whether it is appointment setting, list building, eMarketing, web seminars or any sales and marketing service that is mission critical to your growth plans. We help your organization increase sales, improve marketing, achieve a higher level of professionalism and close more clients. We roll up our sleeves and cold call the prospects, set up appointments and host your web seminars. We update your prospect lists, identify decision makers, and find qualified prospects which are a good fit for your pipeline. We write your case studies, create your marketing and eMarketing campaigns and help articulate your value proposition to thousands of prospects. And we can help your organization go virtual, from web meetings to virtual presentations, from web seminars to eCollateral, we can help move you to a more efficient and cost effective sales and marketing model.